“This is all about getting stuff out there, isn’t it?” I suggest to creative producer Vicky as we drive along Halifax Road to the Westgate 23 pub in Heckmondwike. “And surprising people about where you might find it?” I’m thinking about Creative Scene’s new strap line: making art a part of everyday life. We’re off to see Best in the World, a touring performance which has already played two local pubs in the last week. 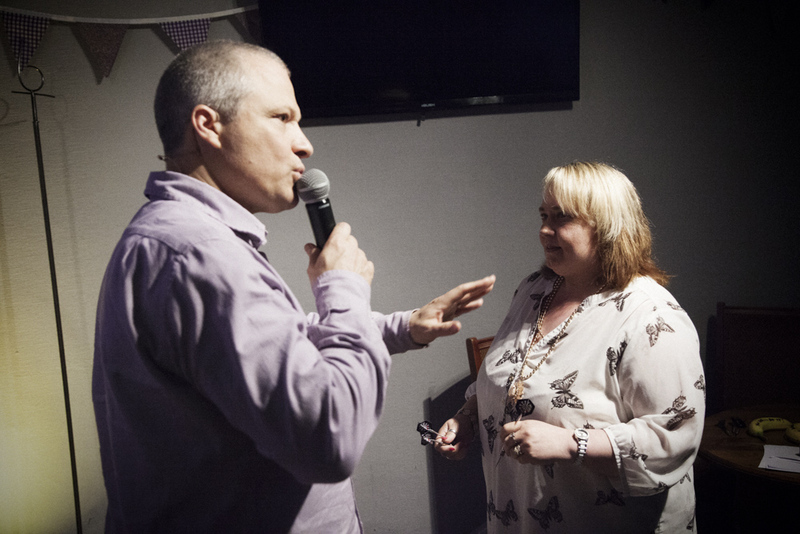 It’s the latest in Creative Scene’s pub series which kicked off last July with Early Doors, an eight-cast musical that apparently went down quite well. “That was more of a theatrical show that told the story of a brother and sister struggling to run a pub,” Vicky says as we park up. 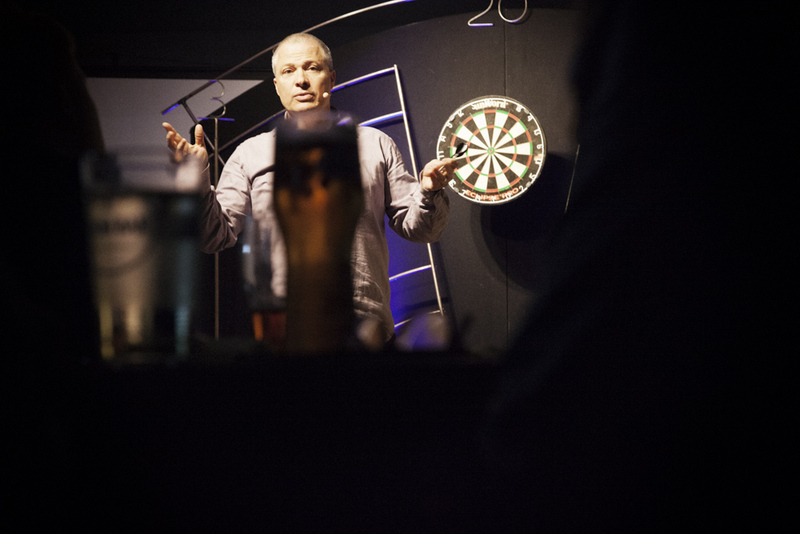 “And this is one guy banging on about how we can all be champions at darts?” I say, summarising the flyer blurb. “It’s pretty much the polar opposite,” says Vicky. I can’t wait. I used to be quite good at darts. Rather than the drunken exuberance typical of the televised darts tournaments, tonight’s audience in the back room is, so far, a little more sedate, expectant, curious. It’s not easy to categorise the next 60 minutes or so. Alex’s performance is part lecture, part motivational speech and part life story. We hear about why the oche is called the oche; how Phil ‘The Power’ Taylor had to thrown over nine million darts before he won a world title; and how Alex attempted to reconcile the death of his own father. It’s a roller coaster of a performance. But mostly it’s about what we can learn from the darting greats like Jocky Wilson and Eric ‘The Crafty Cockney’ Bristow. 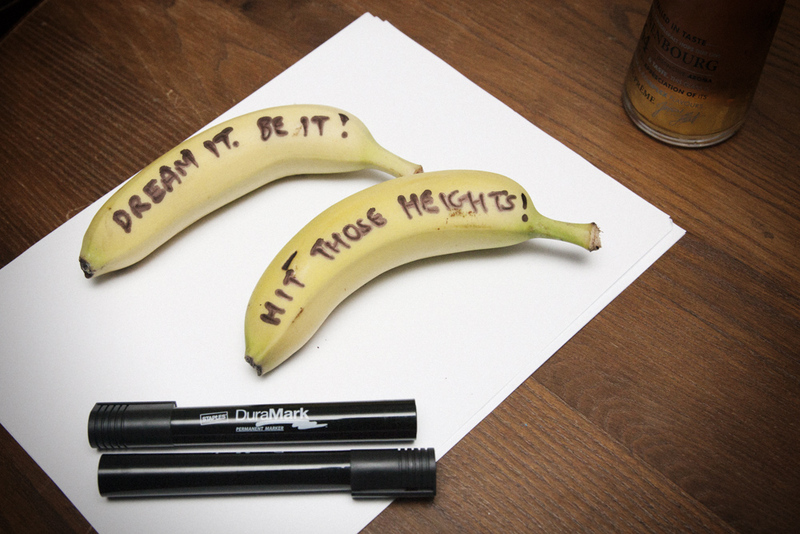 “It’s amazing, isn’t it, what you have to do to achieve greatness?” ponders Alex. The punters are given our own opportunity to achieve greatness as three volunteers are chosen to establish an audience average score. I’m gutted Alex ignores my upright arm. Kimberley steps up to the oche. Apparently she has form. “I was at archery last night,” she declares, aiming her first dart. It misses the board. And he does. 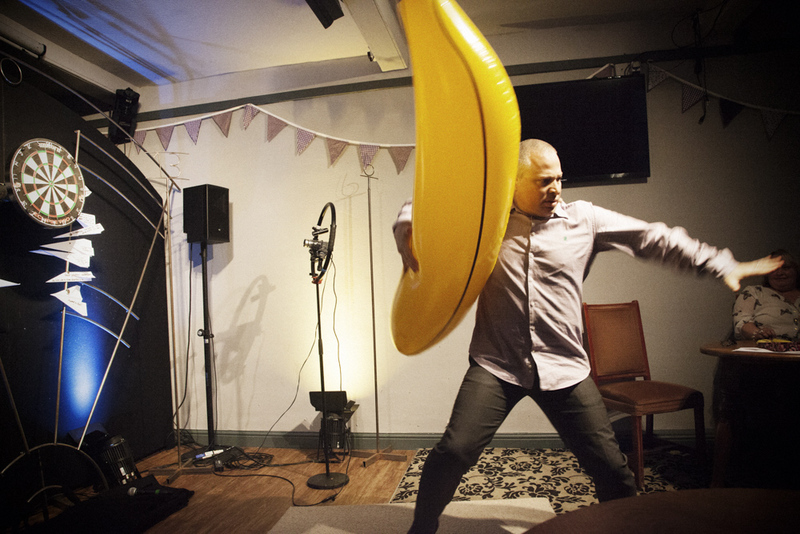 What follows is best described as a ‘dad dance’ with inflatable fruit. When it’s all over and Kimberley is ordering a well-deserved refill I ask for her verdict. Kimberley’s friend Janet is filling out a feedback form. “What did you think?” I ask.